David Archer informs us, as the paleoclimate record informs him, that given time a 1C change equals 10-20 meters of sea level change. Since our story is heating, this indicates, in time a 33 to 65 foot sea level rise. I’m somehow reminded of George W. Bush being overheard whispering to Tony Blair during a French presidents remarks at a climate conference: “These people don”t even have a word for ‘entreprenure’ . But watch them go invest in mountaintop real estate & scuba gear…. W, if he did say it, gets marks again for foot in mouth syndrome. In my view, though, his policies were far, far worse than any perceived verbal bungling on the international stage. One wonders where we’d be without his wholesale support of the fossil fuel industry, his big move toward laissez faire economics, his administration’s direct attacks on science, and what amounts to 8 years of the EPA going AWOL. Archer, as ever, provides fantastic references. Bush never said that according to snopes. I think the rumor had legs due to the fact that, even if Bush didn’t say it, there was a bit of truth in the fiction. The Bush party had long benefitted from the demonization of the French as ‘socialists’ who couldn’t grasp the so called virtues of their free market (neo liberal) worldview. The party had also benefitted from a fake portrayal of corporatists as so called ‘entreprenuers.’ This fiddling with language set them up for a well-deserved ridicule, which they received in spades. So the fable, as it was, ended up being an accurate portrayal of the republican mindset. One, it’s sad to say, hasn’t really changed since that time. Smith is threatening to subpoena Penny Pritzker. Obama’s long time friend/benefactor–whom he rewarded with the Commerce Secretary position. I haven’t followed her in this role, but knowing her politics & close relationship with the Potus, I’m hopeful that she’ll do her part to bring Smith to heel. Fantastic response to the current republican numbskullery. – We’re up against a real ruthless and unprincipled bunch. Listening to Kevin Anderson we’ll have a very hard time with a 3°C limit. Saying we’ll make 2.7°C with current INDC’s is sending a false message in my opinion. Like Kevin says, it’s not good to be pessimistic, but the same goes for being optimistic. If atmospheric CO2e levels are a direct match to ESS, then we’ve already blown through 2 C this Century at 485 ppm CO2e (4 C long term warming). 400 ppm CO2 alone is enough to exceed 1.5 C this Century (2.4 C long term warming). To have much chance, in my view, to miss 2 C we need to be net carbon negative by or well before 2030. According to UNEP, we hit about 52 to 60 gt CO2e emissions by 2030 under current policy trajectories and INDCs. That gets us to 435 ppm CO2 and 535 ppm CO2e by that time. The CO2 alone is enough to exceed 1.7 C by end century (3.4 C long term) and that CO2e is enough to hit 2.85 this Century (5.7 C long term). The problem is that current policy sees emissions continuing to increase through at least 2035 and probably the 2040s or 2050s. That’s just inexcusable. Also current policy is myopic to this Century. It doesn’t take into account the far more catastrophic long term warming we’ll be locking in for future Centuries. It’s as if the only Century that matters is 21rst, which is frankly ludicrous. If we want to be responsible about carbon emissions, we need policies that include the most aggressive reductions possible. We have too many delays and concessions to fossil fuels currently. Too many nonsense transitions from coal to gas when we are fully capable of transitioning to renewables now. Too much coddling of privatized utilities that should have never been privatized in the first place. Too much whining by current monopolies about losing their existing control over energy supply and distribution. If we want to deal with the problem, these interests need to take a back seat. You know it and I know it. But the problem is that most people don’t. The key word is motivation. We went to the moon because we we’re motivated. We’re not solving global warming right now because we’re not motivated. We need more of this stuff. As good as your stuff is Robert, I don’t think it’s for everyone as people who read this blog are already motivated. That’s meant as a compliment by the way. The second scale is a decent first shot. But it’s not likely to be technically accurate. 750 ppm CO2 is about 8-9 C warming long term and 75 meter SLR long term. 3 meters per 1 C is vastly too conservative. The scale is more in the range of 3-10 meters for 1-2 C. 10-25 meters for 2-3 C. 25 to 50 meters for 3-5 C. And all ice melted at 5-6 C 50-75 meter SLR. As for communications effectiveness, I’m not bragging but here we turn laypeople into climate experts every day. And I think that’s what our goal should be. The more people we have out there with knowledge spreading the word, then the better off we all are. This blog’s not for people already in the know. It’s for the climate interested and for generating climate interest. Now we can only hope one day you’ll score higher on Google than WUT. Saying you deserve that would be an understatement! I think +2/C this century will be a very conservative estimation. We must start to take into account the amount of CO2 that the planet has stored up and can freely release back into the atmosphere. The +2/c is a matter of simple arithmetic. We need a team of Newton’s and their like to work out what’s really going to happen and how high the CO2 is really going to get? The same rings even more true for todays people, who really haven’t got a clue what is going one, and probably at root level don’t care! Most of us wont be here to see what happens in the next 30 to 50 years but our family’s will and they may claim we set the future as an inheritance for them? 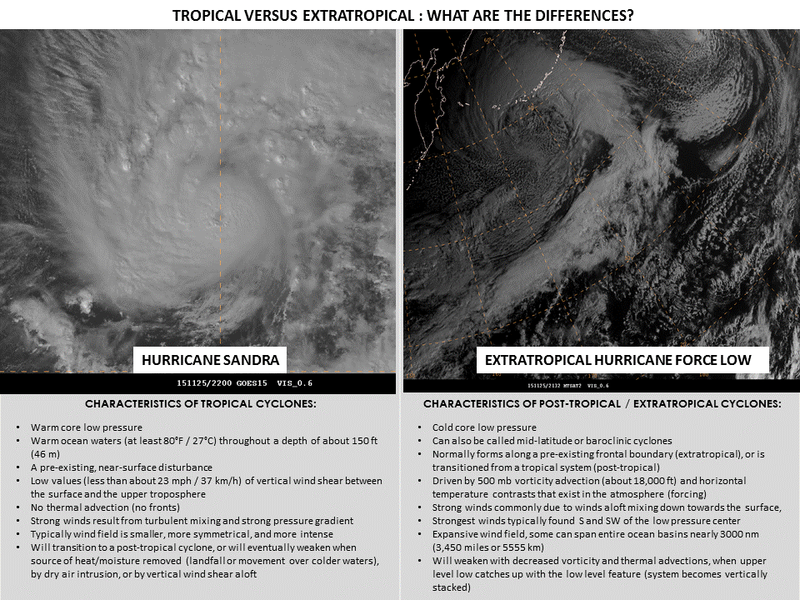 Both Hurricane Sandra & extratropical hurricane force low in N Pacific today, picture describes differences. The N Pacific is extremely active at this time! ‘This video of the Himawari-8 RGB air mass product shows a pair of extratropical hurricane force (winds ≥ 64 knots) low pressure systems over the N Pacific over the past several days. They are the latest in a series of strong systems to impact the basin. The first system is shown as a mature hurricane force marine cyclone on the eastern edge of the projection. It moves off to the east while weakening. These things are really starting to fire up. West to east across the Pacific there’s quite a lot of energy for these things to feed on. It’s going to be a really rough winter. Another harrowing tale of people fleeing for their lives. In the middle of the flames their internal combustion engines were failing. Had to laugh – first commercial video, playing just below the article covering the catastrophic use of fossil fuels, is for auto insurance. I know you don’t have any control over that, still…..ironic in the tragic sort of way we Homo Sapiens are ironic. No time left to put out the fire? Sort of feel I should second that! I’m especially interested in getting some learned feedback (Robert???) or feedback from some climatologists. If what David Wasdell says in this publication is even partially true, the future looks grim indeed. I think Wasdell is venturing a bit beyond the current understanding of climate responses to CO2 increase when he gets 2 C warming at 334 ppm. We don’t really have evidence of that level of warming from paleoclimate. The best correlary — the Pliocene — produces 2-3 C ESS warming at 390 to 405 ppm. Based on broad studies of paleoclimate, a good range for ESS is 5-6.5 C warming for each doubling of CO2 long term. 7.8 C is on the high end, even for ESS, and would require extraordinary circumstances outside of currently developed evidence to be achieved. I agree with Wasdell in that the current velocity of climate change and human forced warming may have an added impact. Unfortunately, looking at the very unstable transition periods between glacials and interglacials as a paleoclimate reference may not yield an accurate comparison to current conditions. My suspicion is that the energy balance equation here is missing some bits. The older epochs, on the other hand provide a clearer picture of baseline sensitivity. Unfortunately, we have no baseline correlary for the rampant pace of human warming and GHG buildup which is far faster than ocean cycling can keep up. I think, if someone wanted to try for a more accurate picture of ESS in the current age, then they need to take the GHG buildup and warming faster than ocean cycling factor into account. That may yield a better ESS number. But if you’re picking Pliocene correlary vs interglacial/glacial correlary, I’d take Pliocene, for example. In my view, Hansen’s ESS measure is probably the best yardstick we currently have. Thanks for the input, Robert. And, as always, thanks for being the best place to go for reliable climate information and analysis. It’s worth noting that the global average (12 month running mean), as measured by satellite, exceeded 400 ppm early this year. It is absolute insanity what we are doing. We all know in the last 800,000 years or so CO2 has been between 180 and 280 ppm, and that 100 ppm was the difference between an ice age and easy living, and we’ve evolved and developed society in this narrow window of beautifully stable climate…and we have completely thrown that gift away. And yet we still keep adding CO2 to the atmosphere ate unbelievable rates. This has got to be the most immoral act in the history of life on Earth. This is guaranteeing ecocide and habitat destruction/removal on a scale that was once reserved for asteroids, the Siberian Traps and other extinction level events. And if you look at long term business plans of fossil fuel companies, they are set on taking the world to six, seven, eight hundred parts per million. The right wing believes there is nothing wrong with 600 ppm CO2. To those of us with an appreciation for facts, data and reality, this kind of craziness is simply unthinkable. New York : The rise in carbon dioxide (CO2) levels would have more catastrophic impact on the climate than currently estimated, suggests new research, reports IANS. The researchers found that climates on Earth may be more sensitive to rise in CO2 levels than was previously thought. The new data suggests that past predictions significantly underestimate the impact of greenhouse warming and that Earth’s climate may be more sensitive to increased carbon dioxide than was once thought, said one of the researchers Tim Lowenstein, professor at Binghamton University in New York. The study examined nahcolite crystals found in Green River Formation in Colorado, US. The crystals were formed 50 million years ago during a hothouse climate. They found that CO2 levels during this time may have been as low as 680 parts per million (ppm), nearly half the 1,125 ppm predicted by previous experiments. Ryan, the right wing will probably be cut off soon, leading to an uncontrollable spiral to doom! Shortly! … and we love doing it. Just look at the shopping madness at this time of year on any town/city… even online. Black Friday is a good metaphor for the larger problem — big corps push more sales for short term gain, addicting people to consumerism, supporting ever kind of excess, bad behavior, and selfish sense of entitlement. Stuff is the drug, the corps are the pushers. Greed becoming the governing spirit of the holiday. I am thankful for our voices of outrage & will be participating in the global climate demonstration on Sunday. I’m grateful for this beautiful planet that is so worthy –and for people like you, Robert and all, whose daily work and toil, shepherds others to join in the effort. I am thankful for each of you. For the visions you all have the courage to share despite a great adversity. For the beautiful gift of life which you are ever so willing to protect. You inspire both thanks and humility, lending also the strength to carry on. As a system nears a tipping point, it moves to the extremes. Remarkable Hurricane Sandra exploded into a Category 4 storm with 145 mph winds overnight, making it the latest major hurricane ever observed in the Western Hemisphere (November 26.) The previous record was held by an unnamed Atlantic hurricane in 1934 that held on to Category 3 status until 00 UTC November 24. Sandra is also now the latest Category 4 storm ever observed in either the Eastern Pacific (previous record: Hurricane Kenneth on November 22, 2011) or the Atlantic (previous record: “Wrong Way” Lenny on November 18, 1999.) Prior to Sandra, the strongest East Pacific hurricane so late in the year was 1983’s Winnie, which topped out on December 6 at 90 mph winds. Sandra is the first major hurricane in the Western Hemisphere that has ever been observed on Thanksgiving Day. According to WU contributor Phil Klotzbach (Colorado State University), Sandra is on track to become the latest landfalling tropical cyclone on record for Mexico, beating out Tara (Nov. 12, 1961). An Air Force Hurricane Hunter mission is scheduled for Sandra on Friday afternoon. Another storm intensity record falls in EPAC. Very rough weather on the way for this winter I think. Sort of failed to make landfall at the last minute, a bit like the earlier on this year. Thank whoever you thank for that but its now just a heavy rainstorm. Thanks for that. Brings back some great ol’ memories. Ah those were the days, my friend. We thought they’d never end. I came across that old denier straw man tonight about cold killing more people than heat. The intense heat wave that centered on western Russia last summer was truly a record breaker. It surpassed even 2003’s scorcher in western and central Europe — which has been blamed for 70,000 deaths. And together, both of these mega heat waves have secured a place in the 500-year weather history of Europe, according to a new analysis. The researchers also looked ahead, and found that a variety of different climate models predict an increase in mega heat waves similar to these in the 21st century for two regions within Europe. From late July until the second week in August 2010, record heat settled across 772,204 square miles (2 million square kilometers) in Russia and Eastern Europe. In Moscow, the daytime temperatures reached 101 degrees Fahrenheit (38.2 degrees Celsius), in Kiev, nights reached 77 F (25 C), crops were destroyed, fires swept across western Russia, and preliminary estimates now put the Russian death toll at 55,000. So, there’s 125,000 deaths in just 2 events from heat . People dying from cold come in 2’s and 3’s. Thankyou again Robert for keeping the flame. I’m veruy concerned about the lack of awareness of the effedts of steadily rising CO2 on it’s own let alone it’s warming effect – I’ve been compiling a list of other side effects of high CO2 for 10 years or more and the effects are VERY diverse, and entirely negative, yet I’ve come across people who deny it’s even rising! wtf. A lot of folk find their funding gets cut when they start reasearching though, although the US Navy has done some work an ocean acidification leading to sound carrying faster and disrupting cetacean hearing. Articles and links would make a useful article. If I was young now and without all the economic baggage we acrue there would only be two rational responses: nihilism/head in the sand (of which we’re seeing a lot of) or directed rage against the destroyers of our Earth, of which we’re seeing very little and I don’t know why. I can see a time when an Earth movement akin to daesh arises in defence of Earth. There are an amazing number of negative impacts. Would make for a good article, I think. Reduced transpiration leading to > soil moisture, and possibly shallower roots from more available soil water. Shifted seed maturity rates in grasses. Altered protein development in plants. Elevated CO2 mat bepress or accelerate some C4 plants (many serious weeds). Increased loss of N from land leading to water pollution. Also I can’t prove it but it seems there are more shallow slope failures (at least in my small part of the world) this year. Thanks so much Nigel. Please post what you feel comfortable with in the open forum. What you think might be good to share. If this is an individual research project and you want to keep some or all under hat, then it’s more than fair. My email is mithorden@yahoo.com. Please let me know when you have it so I can delete. I have tried to restrict to references that deal with eCO2 only and avoid warming related aspects. I have full-text pdfs of all below, usually with my own markups and annotations. I can provide a link to my dropbox if you ask as I have your email. Info in square brackets is the test CO2ppm, plus a short takeaway message. Meta means the paper is a meta-analysis rather than research per se. Global (and local) N balance and mycorrhizas – Mycorrhizae growth depression (important as mycos hold ~10% soil phosphate and are primary nutrient interface for most plants). Leakey, Ainsworth, Bernacchi, Rogers, Long, Ort. 2009. Elevated CO2 effects on plant carbon, nitrogen, and water relations: six important lessons from FACE. Journal of Experimental Botany, Vol. 60, No. 10, pp. 2859-2876. Wright, R.F. 1998. Effect of Increased Carbon Dioxide and Temperature on Runoff Chemistry at a Forested Catchment in Southern Norway (CLIMEX Project). Ecosystems (1998) 1: 216–225. [CO2 560ppm]. Effect of increased concentrations of atmospheric carbon dioxide on the global threat of zinc deficiency: a modelling study Samuel S Myers, K Ryan Wessells, Itai Kloog, Antonella Zanobetti, Joel Schwartz. Lancet Glob Health 2015; 3: e639-45. Irakli Loladze. 2014. Hidden shift of the ionome of plants exposed to elevated CO2 depletes minerals at the base of human nutrition. [Meta analysis – shows that eCO2 reduces the overall mineral concentrations by 8%, and increases the starch and sugars:minerals > carbon:minerals in C3 plants – Loladze’s work is interesting as he has had a lot of roadblocks against his research, especially in the US]. Ziska, L.H. 2003. Evaluation of the growth response of six invasive species to past, present and future atmospheric carbon dioxide. Journal of Experimental Botany, Vol. 54, No. 381, pp. 395±404, January 2003. [CO2 719ppm – these six species are some of the worst in food-growing systems – 40 to 110% increase in biomass]. Fifty thousand Victorians get the ball rolling. Not bad for a Friday. MIAMI — The crowd that lined up around a megachurch here last week — largely Hispanic and mostly poor — came for the Saturday services, but also for the free flu shots that were being offered in the church, and for the Thanksgiving turkeys being given away just outside. But before they received their turkeys, those in line were asked to answer a few questions: Were they more likely to vote for a Republican or a Democrat in the 2016 presidential election? And did they feel that the government should increase or decrease federal spending in order to improve the economy? Volunteers, holding clipboards and speaking mainly in Spanish, collected the names, telephone numbers and email addresses of everyone who showed up. Royal Dutch Shell may have recently scrapped its plans to drill for oil in the Chukchi Sea, but the oil industry has not given up its designs on the Arctic Ocean’s fossil fuels. In September, Houston-based company Hilcorp submitted a plan to develop and produce oil from the Liberty prospect in the Beaufort Sea off the north coast of Alaska. If the Obama administration approves Hilcorp’s plan it will mark a dubious milestone: the first oil produced entirely from federal waters in the Arctic Ocean. Hilcorp is not a household name like Shell or Exxon, but it has quietly grown to become one of the largest privately held oil and gas companies in the United States. Billionaire founder, chairman and CEO Jeffery D. Hildebrand regularly cracks the list of the 100 richest Americans and is a major funder of Republican politicians. Founded in 1989, Hilcorp has been a big player in the recent fracking boom and has pushed the envelope on aggressive tactics to extract oil. – Citizen journalists, activists, and bloggers are integral to any modern effort to inform and engage the citizenry on important issues that many others want left uncovered. The words, and ethics in this video of brave people under an existential treat are worth a look, and listen. In recent remarks Robert E. Murray, the chief executive officer of Murray Energy, the largest privately-held coal mining company in America, enthusiastically praised Rep. Lamar Smith, R-Tex., the chairman of the House Committee on Science, Space and Technology, for leading an investigation into prominent climate scientists and environmental officials. Gates and a group of developing and developed countries will launch the Clean Tech Initiative, in which countries will commit to doubling their clean energy technology research and development budgets by 2020 and private investors ..
For DT: citizen scientists documenting plant life and its changing patterns of growth…. As part of a program called “Project BudBurst,” citizen scientists are observing a variety of plants and entering their field notes online – for example the dates that a lilac starts to bud out, leaves appear, and when the flowers emerge. Good stuff here, “Every plant tells a story.” Indeed. 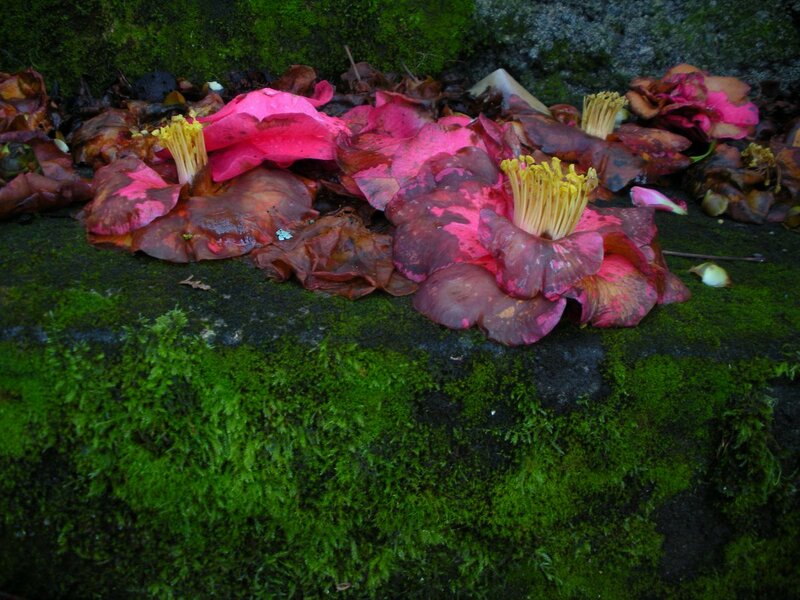 -Urban flowers and petals, stain and decay among algae moss in #Portland, OR. View this slowly as one would gaze upon a full scale (climate) diorama. What these findings mean remains to be seen, however, as does whether the rapid growth in the tiny plankton’s population is good or bad news for the planet. Interesting… We’ve been tracking these blooms here. If this is a response to high CO2, it may be one of the Earth System signals for a changing world ocean. On the other hand, it appears these microbes, long term, cycle CO2 out of the Earth atmosphere and upper ocean. Long term being tens of thousands of years. El Niño déjà vu or something new? Thanks for posting this graphic, Bob. Looks to me like the 2015 El Niño produces both more persistent and widespread heat at the surface when compared to 1997. North Pacific, in particular, is much warmer due to combined positive PDO and human forced warming. If all of it melted, the EAIS would contribute an equivalent of around 50 metres of sea level rise – the vast majority of the total 58 metres that could come from the continent. A New Zealand-led study published overnight in the journal Nature Communications has now shed further light on this potential. By studying rocks at different elevations beside the East Antarctic sheet, the research team concluded that a period of rapid glacier thinning occurred in the recent geological past, and persisted for several centuries. Will get my hands on this study. Recent Geological past being the Pliestocene periods of interglacials. I wonder if they’re talking about the Eemian. Another overall stress to human civilizations coming from climate change. All part of the gradual ratcheting effect. Another thing of interest is when we’ll see a sharp rise in the tropospheric temperature. so far, I don’t think such one have been marked. Should see some decent signs soon I believe. The situation in São Paulo remains touch and go. It appears to be not quite so bad as last year. But information from Saesop at this time is rather less transparent than it has been in the past. Of more concern this year is an expansion of low water levels into to Rio system. Overall, it appears that much of Brazil is now dealing with a severe water scarcity situation. One that many considered unimaginable just a decade ago. Will see if I can put together a good update. That move-out in particular isn’t a very good example of “moving for water”. Jundiaí is a sattelite-city to São Paulo, and a LOT of people live there and work in São Paulo (I’m doing something similar, living in Mairiporã and working in São Paulo. When house-searching, before news of the drought were common, I actually looked up places in Jundiaí, but the place is far too expensive). It’s like living in Jersey and working in New York, in american terms (or maybe I should say living in the Hamptons. Jundiaí is VERY expensive, specially in the closed condominiuns of the city). People move for the quality of life, and that has been happening for at least 50 years in São Paulo. It started with the Morumbi (still in São Paulo’s official borders), went to Alphaville (that was all the rage when I was in my 10s), and now places in vogue are Jundiaí (also nearby to the regional center of Campinas, where most of our technology industry is) and Cotia. Two hours in transit each way around here are “normal” (São Paulo itself is big and congested, so I, who live in Mairiporã, usually take less time to drive to work than coleagues that live in Vila Mariana, a neighboorhood in São Paulo.). The reservoirs in São Paulo are recovering somewhat (still in the dead volume, but rising faster than in the last rain season), as this rain season is being extraordinarily rainy (heavy showers almost daily since the middle of October here in Mairiporã. Other recharge areas of our reservoirs are getting similar heavy rains). That big El Ninõ, for us, was a gift, as rains here in Southeast Brasil are always stronger when the El Nino is on. São Paulo will probably last a while longer, and the water emergency now is in Minas Gerais, where Rio Doce is no longer able to be used for water supplies (water trucks are actually going from São Paulo to Minas these days. Yes, our reservoirs aren’t in the green side yet, but theirs has been destroyed entirely). And the Rio Doce tragedy will probably have climate feedback effects also. The mud is now covering the calcareum algae of São Matheus Maritime Province, causing massive diebacks of those algae, which are one of the most massive carbon reservoirs in Brasil (it’s one of the biggest calcareum algae reservoirs in the world). 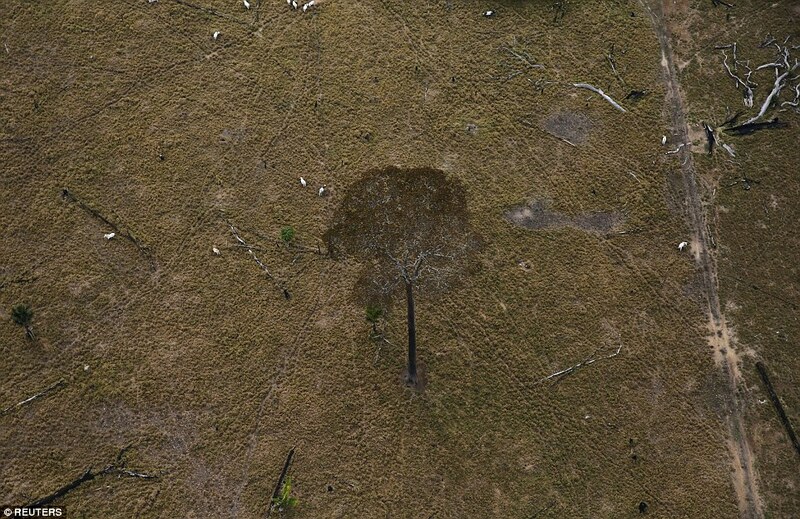 El Niño, in turn, is hitting your rainforest hard, setting the stage for the next drought. Cantariera is still below its old dead pool and the reports I have coming in show water rationing as well. Jundiai, whatever else you may want to call it, is a water haven, and obviously an exclusive one. I´m sorry, I guess I didn´t express myself well. I known that things aren´t well, and also that they´re probably going to get worst, and I probably sounded like too high in hopium in the last comment. Cantareira is still in the dead pool and rationing is still going on (it´s quickly turning into the new normal, as people change their routines to adapt to it). But things are feeling a tiny bit better here in São Paulo (São Paulo specifically, not the rest of Brasil) because of El Nino rains right now. Those are illusory, and the bigger end prognostic is doom, but at this moment reservoirs are going up, and the city will probably have one year of respite, which may buy us time for recovering a few more springs with reforestation. I´ve been working with ONGs that do that for a few years now, and in this last year finding funding and areas to reforest has beemn easier, as public mood is being turned. So that´s where part of my hopium comes from. And I guess most of my discordane is because, well, maybe some people are moving out of São Paulo because of lack of water, but I don´t see that neither in the statistics (São Paulo´s number of migrants is in the negative side, but it has been there since the middle 90´s and the number of migrants entering the city rose last year.) neither annedotically (while I do known a fair number of migrants, both people that have come to São Paulo and people who left it and Brasil, I don´t known anyone that left São Paulo because of lack of water. That article is the only place I´ve seen that mentioned). Maybe it´s because smarter people are making the move first, but the feeling here (at least for me, this is a big city and maybe in other circles that is being discussed) is more like stunned complacency and denial.. Like people buying beachside property in Miami (and actually, I known at least three people that have done that in the last five years, unfortunatelly. Maybe I known too many dumb people). I have seen people mentioning in fear what would we do if the water runs out, and I have started that conversation a few times. I have seem a lot of people finding ways to adapt, to use less water, to catch rain water, to reuse laundry water, and since I already had a rain-catching to potable water system before the drought, I have been approached from a lot of people searching advice on how to make theirs (sometimes in very nonsensical situations like ” your bank manager said that you have a rain catching system, and I go to the same bak, how can I make one for my house). But I haven´t seen people moving out the city (more than a few moving out country, but not in the last year), specially because it isn´t just São Paulo. Northeast Brasil (the whole Northeast) is in worst shape than we are right now. A huge portion of Minas Gerais and Espirito Santo just got destroyed (it´s the only way to describe what happened). Things are bad here, but are worst all around. Well, I was just pointing out that you’re not out of the woods yet. And, unfortunately, the long term trend doesn’t look too hot. No need for apologies. I absolutely value the on the ground assessments. LAM, there has indeed been a sharp rise in troposphere temps in the last few months. Are you looking at some sites that are suggesting otherwise? The situation in Brazil is getting much less coverage in the MSM than it deserves. I suspect that we have passed the 400 ppm of CO2 for the next millennium or two at the very least, and the longer the polluters control politics, the longer that time will be. Yet another step on the road to the Anthropocene Extinction. One can only hope that, if nature experiments with high intelligence again, it will produce a species rather more deserving of the Earth than Hom. sap. sap. We’ve probably set off enough feedbacks to keep CO2 levels that high without intervention on the part of humans to draw down atmospheric CO2. A small amount of forcing due to changes in the angle at which the sun hits the upper and middle Latitudes is enough to add 100+ ppm CO2 to the Earth atmosphere through feedbacks. I think it’s pretty conservative to say we’ve added enough forcing at this time to at least maintain the currently elevated levels for many thousands of years even if we halt emissions now. To draw down CO2 we need an active effort on the part of human beings to change land use. Perhaps, if we went cold turkey on fossil fuel burning in just a few years, and radically changed the way we farm then there might be enough added slack in the carbon sinks to pull us again below 400 ppm but the added heat in the 380 to 390 range would probably produce at least a moderate global feedback from carbon stores. Storm tracks in both oceans are looking very strong at the moment. We have a storm set for Isle of Mann, UK, tomorrow with 70 mph winds. There will probably be quite a bit of this on tap for the coming winter. Sections of Coastal BC to get 8+ inches of rain from severe coastal storms over the next 5-7 days. Huge swells plowing across the NE Pacific. I made a long distance car trip over Thanksgiving across parts of the Northern Great Plains. What did I most notice on my journey across the wind swept plains? I think you already know! I saw a dozen large smoke stacks from coal fired power plants, and cooling towers from a nuclear plant, but I only saw one certifiable wind power generator. Even though I saw plenty of empty ridges crying out for wind power farms. What makes me sensitive to this is my connections to Sweden and Denmark, where I have visited family since the 80’s. The expansion of wind there has been steady and dramatic, with the new farms going out into the shallow seas from Britain and along Scandinavian coasts. They just keep growing, Denmark, Sweden and Germany are leading a revolution in growth. I saw nothing, I mean nothing to encourage me on my Mid Western trip. In fact, I saw a series of ideal ridges in empty marginal farm lands that had 5 frack sand mines built into them, along with a spur railroad built to service them, yet not a one wind power generators in sight, when I saw easy room for 200 of them! We all know fossil fuel’s capture of congress, and like the last post before this, the war on alternative energy. My own home town is ideal for wind power, with steady north east and north west winds hitting a high ridge above Lake Superior. Had this been Sweden, there would now be 20 large wind turbines there, but this is American, and there are zero! Really, what is our excuse? I still see media ridicule wind and solar. I bet that media is paid to do it, via the advertising dollars of fossil fuels. Just like fossil fuels got to Scientific American in the 90’s and got them to tome down Global Warming stories by 90%. Shameless! It’s absolutely shameless, Syd. We have so much in the way of resources that we’re not currently putting to use. Resources that are by far and away so much less destructive than the ones so many now keep fighting to tap and unleash. The challenge before us is enormous. But the main problem, as ever, is human ignorance and greed. More than ever, these communities remain ignorant about their own best interests, and will continue to vote against them because they hate gays, non-whites and abortions. It’s a sad, sad situation. I drove across the same area this month, Syd. Was expecting to see more wind turbines compared to my last trip. To add: from where I sit, because of the propaganda, individuals and their communities are not inclined to learn new skills to prepare for the transition. And so they continue with what they’ve known for several generations. Without the education re: what the problem is to sleuth through their media waves and the education/support to learn to new skills, I don’t see how we can get these remote communities on board…This is where government has to step in, imo. – Rain forests Brazil – One iconic photo (9/32 photos). Every year things get worse. I’m really starting to feel deep down that we won’t turn this thing around. And if we do change our ways, it’ll be far too late, when we are forced to change because the world’s systems have broken down and collapsed. Three days before the beginning of a critical international climate conference in Paris, one of the world’s most famous climate scientists, James Hansen, has written a withering criticism of President Obama’s approach. And I thought COP 15 at Copenhagen in 2009 was the bottom of the ‘bull pen’. Infuriating as it is depressing, dtlange. 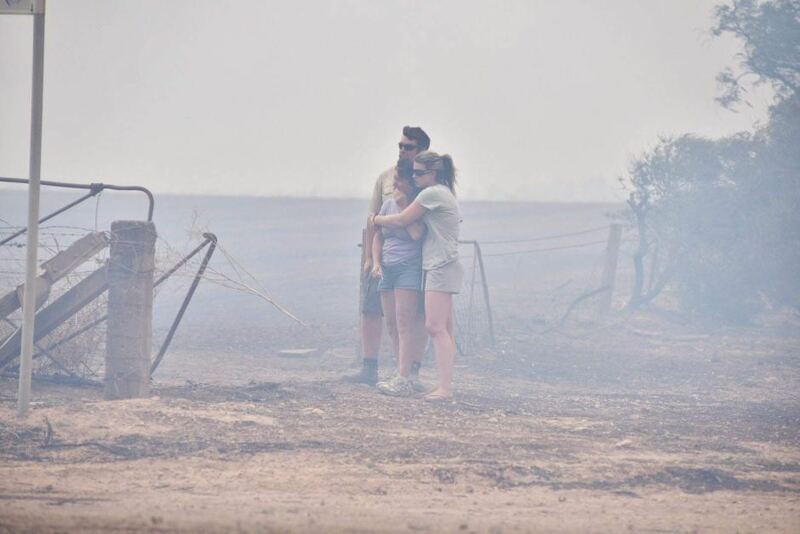 On a day when the skies were ashen from the smoke of distant wildfires, Chase Hurley kept his eyes trained on the slower-moving disaster at ground level: collapsing levees, buckling irrigation canals, water rising up over bridges and sloshing over roads. This is the hidden disaster of California’s drought. So much water has been pumped out of the ground that vast areas of the Central Valley are sinking, destroying millions of dollars in infrastructure in the gradual collapse. In some parts of the valley, however, the land is sinking at a rate of 2in (5cm) a month. About 1,200 square miles, roughly bounded by interstate 5 and state route 99, is collapsing into what scientists describe as a “cone of depression”. Now there’s a phrase for our times. Because even if snow pack is 200 % this year the pumping is a man made event, and it will continue. We should adopt the same philosophy on CO2 emissions. Black Friday has become an orgiastic celebration of unbridled consumerism. The first George Lucas movie was THX 1138, starring Robert Duvall . Duvall ………. THX 1138, stops taking his meds . A distant dystopian world , where humans live underground. In the movie, there are confessional booths. Where the drugged members of this world can ask for help. The first George Lucas movie. A little off topic , well sort of. The problem with bringing meaningful action into play is actually comprehending the problem and the consequences and this comes down to the individual and their hard wiring and mental software. An interesting article about the mapping of the wiring of the brain and neurological systems that provides some pointers and in a way some hope as the younger generation will have far better mental capability to comprehend. If you grew up in a world where a megabyte is a big dataset, you probably have no hope of understanding the scale of a human connectome dataset. If you came of age this millennium, you’ll likely have a somewhat easier time of it, because your brain is wired differently, but Lichtman cautions that we may be crossing an important threshold in human development – not just in neuroscience or science more broadly, but in everything from politics to economics to religion. “The biggest casualty of big data is big ideas, in the sense that there are no big ideas that encompass the data any more,” he says. “The data is more complicated than the thoughts of most people.” There are too many variables and complex interactions for us to hold in our heads, basically. With the death of big ideas could come a fundamental change in the human experience, wherein we don’t understand and believe so much as steer the analyses and follow the data. What we’re looking at with big data is a division between understanding and analysis. We can simulate, model, and analyze with computers, but we can no longer be confident about understanding the results in their entirety. What we’re looking at with big data is a division between understanding and analysis. We can simulate, model, and analyze with computers, but we can no longer be confident about understanding the results in their entirety. In Western Australia scheme water is priced exactly as you described. The average use per household is 350KL and pensioners receive a 50% discount up to 350KL. Listening to the reasoning which suggests 2016 may well surpass ’14 and ’15 as the third consecutive new record for global surface temps. Appears this would be the first time in NASA’s Land Ocean Temperature Index for three record hot years in a row. I have a co2/ch4/h2o crds that measures in ppb. My work is mostly in the northeast area and have not seen ch4 below 400 ppm. My work is measuring mostly ch4 and when starting about 5 years ago the global ch4 was about 1.87 ppm and now is consistently above 1.9 ppm. Even more striking was a trip to southwestern PA where ch4 levels were consistently above 2.0 ppm. So as co2 levels rise…ch4 also appears to be rising….do you have any data? French President Francois Hollande accused the violent protesters of dishonoring the memory of the dead. “It’s doubly regrettable, I was even going to say scandalous,” Hollande told reporters in Brussels, where he was attending a European Union-Turkey summit. Thanks for sharing – Brilliant photo, effective message, worth a thousand words, includes Pope Francis’s plain black shoes and Ban Ki-moon’s best jogging shoes. The entire aspect of violence breaking out is extremely suspect to me. I’ve never known an environmentalist or someone passionate about climate change to become violent during peaceful protests. And all the accused wore masks. Very reminiscent of the G8 meeting in Canada (and other protests), where it was later shown that undercover police officers had infiltrated the crowd, posed as protesters, and proceeded to destroy property and light cars on fire. This provided the excuse needed to escalate force and begin dispersing the crowd and proceeding with mass arrests. Sabotage. Plain and simple. There is no other logical answer. Have to agree with you and Griff. First, anyone thinking strategically would realize that only peaceful protests are likely to have a positive impact on the conference. Second, the only people who benefit from violence of this kind would be the neo-liberal linked fossil fuel interests. Most likely, this is active agitation by people who aren’t in any way interested in the success of the climate movement and have more to gain from its failure. I’ve seen the same actions occur in the context of G8 and Occupy. 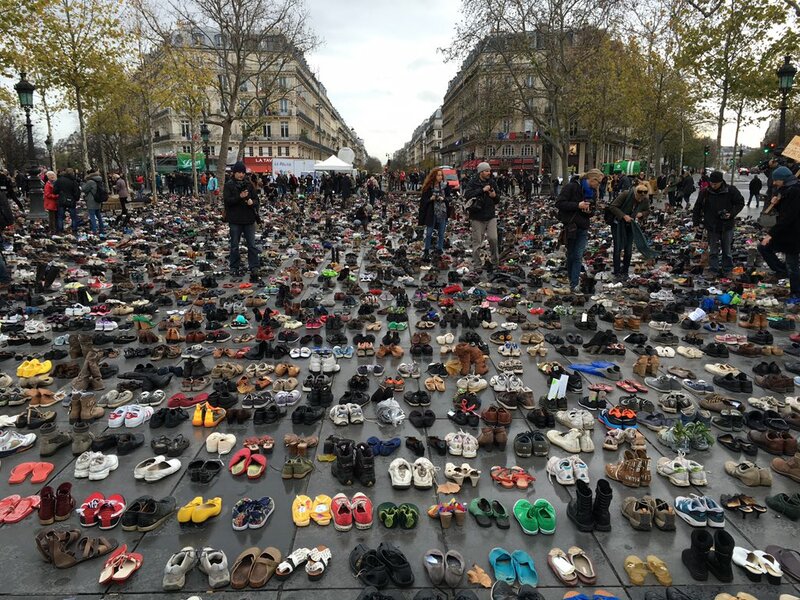 Now the climate movement. I think it’s a pretty clear signal that the mainstream economic interests, whatever they say in speeches, are fighting any kind of climate action of real substance. Yet one more proof that they are as destructive and harmful a political/social/economic body as has ever existed. At least their smear campaign now has less cloaking than it otherwise would have — the Pope being among those half million peaceful protesters pushing for the global community to enact a plan that will actually prevent 2 C warming. A plan that would necessarily be extremely aggressive. Thank you for the insight Robert. As I have thought more about this, the tactic of sending in the thugs to change the nature of a protest is an old but effective one that has regained favor of those in power. From Putin’s obvious involvement in the Maidan massacre to the suspected appearance Chinese police pretending to be protesters (and misbehaving) during the “umbrella uprising” in Hong Kong last year. Unfortunately, the tactic works in that it may brand a movement with an entirely different message than the one that the founders intended. Throw in a “right now” reporting media and an uneducated audience…you know how it goes. A long, thorough piece on the boulders in Eleuthora, Bahamas that Dr. Hansen has studied/written about. In particular, Hearty points out that the tiny grains that constitute the boulder rocks are more strongly cemented together and less likely to crumble than other rocks nearby, a sign that the boulders are older than what’s beneath them.